AGES: Our program is for children, ages 5-12. HOURS: Monday – Friday: 9:00am – 3:00pm. EXTENDED CARE: We offer extended care for your child from 8:00 – 9:00am and 3:00 – 5:30pm. Please respect extended care hours, and do not drop off children prior to 8:00am or pick them up after 5:30pm. We can not take responsibility for children before or after hours as there will be nobody on camp grounds. LOCATION: Camp is located at 2108 Vail Ave, Redondo Beach 90278. When bringing and picking up your children from camp please enter and exit from the parking lot. COMMUNICATION: We strongly encourage close communication between the camp staff and parents. Please be alert to any notes your children bring home as to changes to our schedule. Please don’t hesitate to call should the need arise, 310 214 4999. In case of emergency, please call Rabbi Dovid’s cell, 310 699-0151. 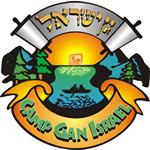 NEWSLETTERS: Our camp newsletter will be emailed weekly, on Friday. The newsletter will include a detailed schedule for the upcoming week, information on special events and trips, and will keep family members up to date with the children’s activities. PUNCTUALITY: Children who are not in the extended care program should not be dropped off earlier than 15 min before the start of camp. Please be sure that your child arrives on time, as our day begins with morning lineup, where important information about the day is shared with the children. Children not in extended care should be picked up promptly at 3:00pm. There will be a sign out sheet for parents or guardians set up inside the gates in the front yard. Please sign your child/ren in and out when you drop them off and pick them up. DRESS CODE: All campers must wear their camp T-shirts on field trip days (see below). TZEDAKAH: Tzedakah (charity) is a concept that is fundamental to Judaism. Our camp attempts to develop a commitment among our campers to share with others less fortunate than themselves by donating a few pennies every day to charity. Parents are asked to provide young children with a few coins daily for Tzedakah. FOOD: Please send clearly labeled lunch and snacks with your child. Lunches and snacks must be dairy or Parve (neutral). Parve foods include vegetables, fruits, fish and eggs. No meat products please. We provide freeze pops at the end of the day and cold water and snacks throughout the day. Nevertheless we recommend that you send along a bottle of water daily. LUNCHES: We offer a Daily Lunch Program. Please see the Dates & Rates Form for a complete list. Each days lucn offers vegetables, fruit and a beverage. A Challah Loaf for Shabbat is also available on Fridays. FIELD TRIPS: Every Wednesday is a trip day and Camp JCC T-shirts must be worn. On trip days it is imperative that you come on time, as buses can not wait for late campers. If your child is not coming to camp on a trip day please call to let us know. On trip days please send lunches in labeled plastic disposable bags. Water Fun: Safety precautions are strictly adhered to. We will be enjoying water-fun activities each Tuesday and Thursday. Please send your child dressed in his/her swimsuit on water-fun days, along with sunscreen and a towel. MEDICAL POLICY: If your child is sick, please do not send him/her to camp. If your child has a fever you will be contacted to pick him/her up. Please make sure he/she is fever-free for 24 hours before returning to camp. Scrapes and abrasions will be cleansed with soap and antiseptic and a band aid will be applied. Camp maintains a first aid kit. If your child contracts a contagious condition, please notify the camp. In the event of an emergency, the parents will immediately be notified and the child will be taken to the nearest hospital unless otherwise specified on their medical form. If the parents cannot be reached, the emergency contact will be notified. POLICY: No electronic games, game-boys, walk-mans, cell phones, palm pilots or other computerized devices may be brought to camp. WHAT TO SEND TO CAMP: Please send the following to camp with your child daily unless otherwise noted. All items must be labeled. Lunch in a disposable plastic bag for trip days (paper is likely to tear and leak). Regular lunch box on non-trip days.